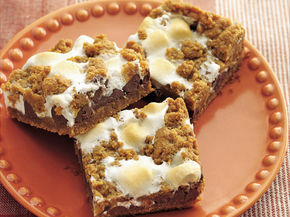 These tasty four-ingredient morsels continue to be a party favorite! Mold 1 teaspoon dough around each olive; shape into ball. Place 2 inches apart on ungreased cookie sheet. Cover and refrigerate at least 1 hour but no longer than 24 hours. Heat oven to 400ºF. Bake 15 to 20 minutes or until light brown. 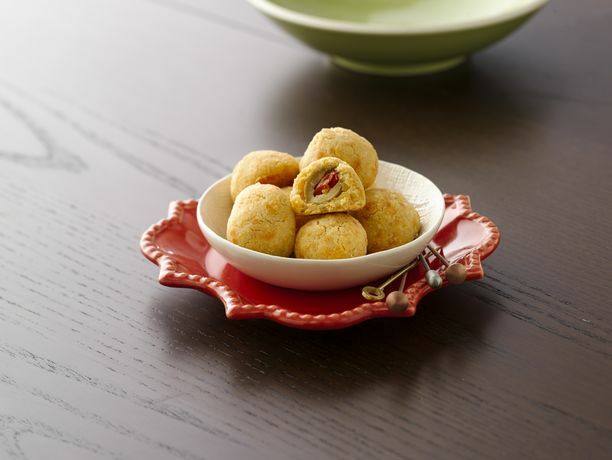 To make ahead, place unbaked olive-cheese balls on ungreased cookie sheet. Freeze at least 2 hours until firm. Place balls in plastic freezer bags. Seal, label and freeze up to 3 months. Heat oven to 400ºF. Place cheese balls 2 inches apart on ungreased cookie sheet. Bake about 20 minutes or until hot. Add flavor pizzazz by using shredded pizza- or herb-flavored, pepper Jack or aged Swiss cheese instead of the Cheddar. 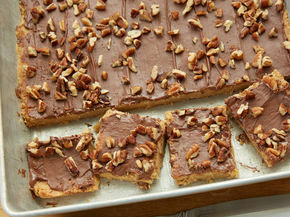 A sweet cousin to toffee candy, Toffee Bars will always be rich and wonderful. Mmm! 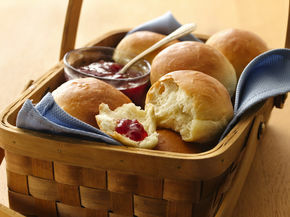 Homemade dinner rolls! What could be better? 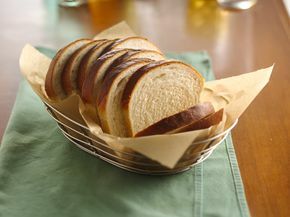 Go back to traditional with the goodness of the best homemade bread.